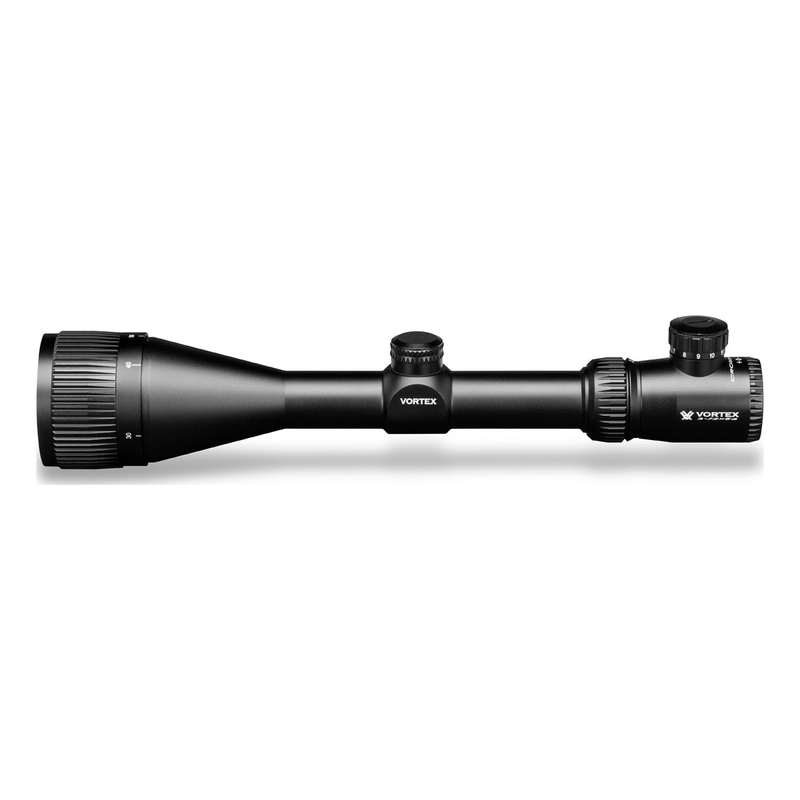 Vortex Crossfire II 3-12x56 AO Hog Hunter Rifle Scope. With long eye relief, a fast-focus eyepiece, fully multi-coated lenses and resettable MOA turrets, there's no compromising on the Crossfire II. 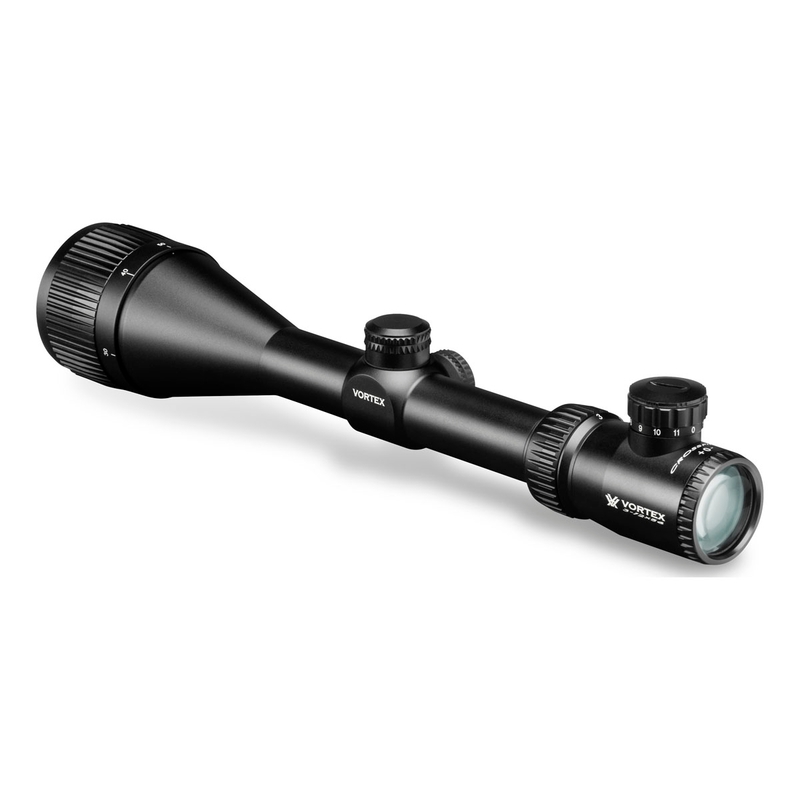 Clear, tough and bright, this riflescope hands other value-priced riflescopes their hat. The hard anodized single-piece aircraft-grade aluminium tube is nitrogen purged and o-ring sealed for waterproof/fogproof performance. 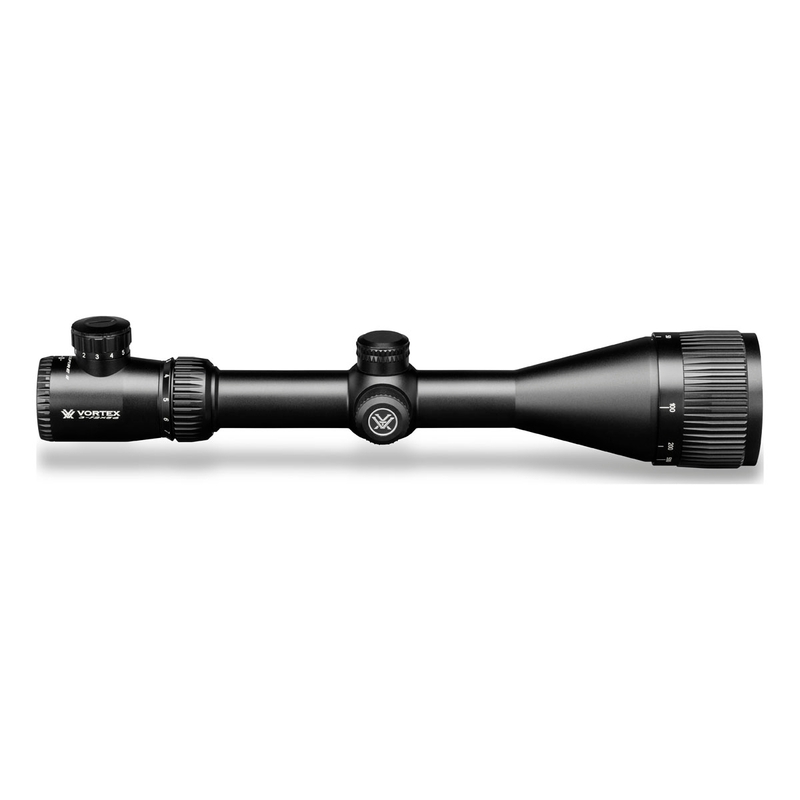 Vortex's mission-specific Crossfire II Hog Hunter riflescope excels when hunting in the lowest light, from early evening to the first glimmer of dawn. Thanks to fully multi-coated optics with anti-reflective coatings, a 30 mm tube and over-sized 56 mm objective lens, hard-core hog hunters can now place shots in heavy cover with the utmost confidence when light conditions are at their worst. The hard anodized single-piece aircraft-grade aluminum tube is nitrogen purged and o-ring sealed for waterproof and fogproof performance. 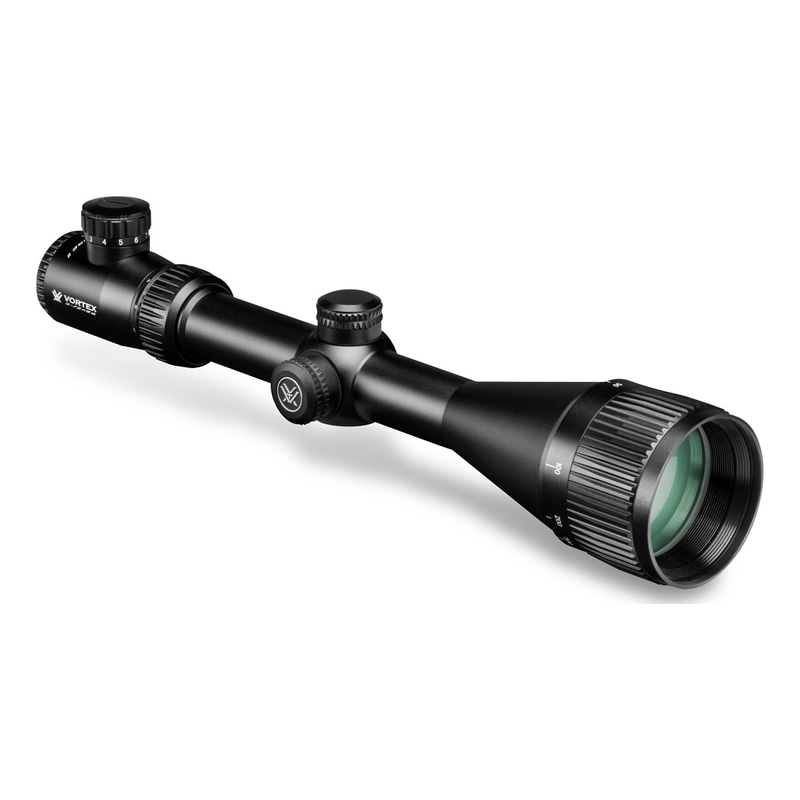 With versatile 3-12x magnification and a rugged build to withstand hard use, the Hog Hunter is one tough customer. Illuminated Center Dot - Provides a precise aiming point under low-light conditions.